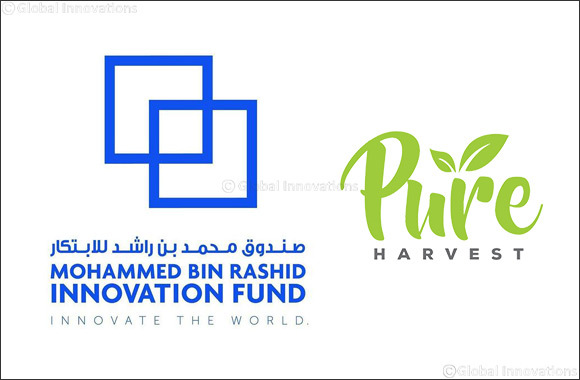 Dubai, 02 October 2018 – The Mohammed bin Rashid Innovation Fund (MBRIF), operated by the Emirates Development Bank (EDB), today announced a disbursement of AED 5.5 million to UAE headquartered Pure Harvest. A regional innovator in sustainable agriculture, Pure Harvest aims to address food security issues and water scarcity in the UAE while achieving resource efficiency and overcoming local climate challenges. Founded in October 2016, the Abu Dhabi based agricultural start-up is focused on the production of greenhouse fruits and vegetables in arid climates using world-leading Dutch hydroponics and climate management technologies. The current fund from MBRIF will be deployed towards construction and pre-production of Pure Harvest's foundational, high-tech greenhouse in Nahel, UAE. “We are pleased to support Pure Harvest. Producing fresh quality food using breakthrough technology, the business today is playing a critical role in advancing the UAE's food security ambitions. As the Mohammed bin Rashid Innovation Fund portfolio continues to grow, we proactively look to engage with entrepreneurs who are pushing the limits of innovation to bring unique solutions to today's problems. We look forward to working closely with the team at Pure Harvest to help accelerate their growth here in the UAE and around the region, addressing food security issues,” said Haytham Kamhiyah, Chief Executive Officer, Emirates Development Bank. In line with the UAE National Innovation Strategy, the Mohammed bin Rashid Innovation Fund (MBRIF) explores funding in innovative businesses in the fields of renewable energy, transportation, education, health, water, technology and space. Pure Harvest's tech-enabled approach to arid climate agriculture is expected to create a positive shift in the agriculture industry in the region, by enabling fresh fruit and vegetable production all year-round, using advanced, resource-efficient growing methods and climate management technologies. “Pure Harvest was launched with an ambition to offer true & tangible food security, helping the country's mission toward self-sufficiency and environmental sustainability. We invest in world-leading controlled-environment agriculture technologies to deliver consumers the absolute best quality produce. As a UAE-based business, we are honored to be supported by MBRIF and this strategic disbursement is instrumental in building our foundational high-tech greenhouse project, which will ultimately unlock future growth opportunities for us,” said Sky Kurtz, Cofounder and CEO of Pure Harvest. The Mohammed bin Rashid Innovation Fund (MBRIF) was founded to financially support entrepreneurs and SME's with unique and innovative ideas who can drive the success of the UAE through contributing to the prosperity and sustainability of the country. Applicants must be residents of the UAE, or alternatively have their company registered in the UAE. MBRIF is actively pursuing investment opportunities in fast-growing UAE SME's that have the potential to deliver a large-scale impact that is consistent with its visionary mandate.